Tory is frequently visited by ornithologists. Many of them come to study the different species of sea birds which have colonised the island. Cormorants, gulls, gannets, puffins, divers, oyster-catchers, terns and fulmars are all common. In addition, being so far north and so far from the mainland, Tory is a classic location for migrating birds to rest on their journey south. 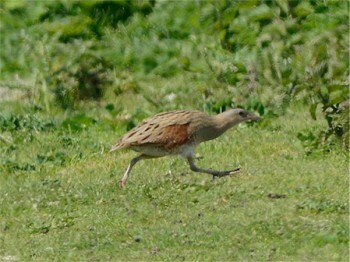 Moreover, the corncrake and other birds which are becoming rare even in the most unspoilt parts of the mainland, are still common in Tory. Even experienced ornithologists have been surprised by the variety of species on the island.